Oh, and if you’d like to keep current on all things Devious between our (ir)regular newsletters, follow us on Facebook, Twitter and Instagram (@DeviousDevices) where we post photos, updates, and the occasional rant! Sharknado™: The Board Game! Now with more character(s)! In case you can’t tell from the above, we’ve heard a lot of recent interest in what’s been going on with that shark/tornado game we’ve been working on for the past year and a half. 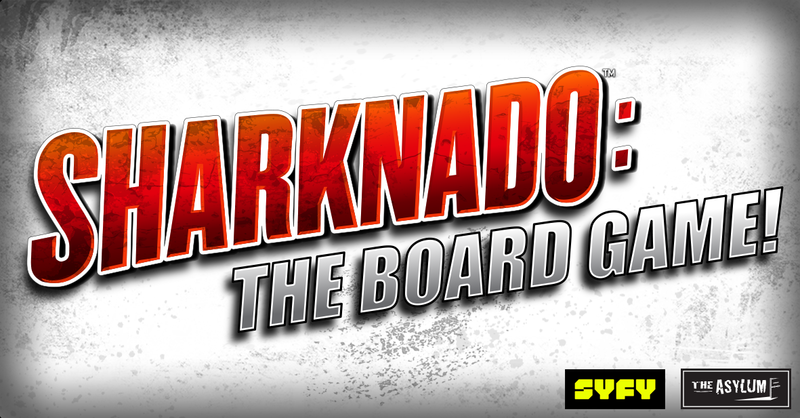 Well, you can rest assured that Sharknado™: The Board Game! is alive, well, and returning to crowdfunding in the very near future! 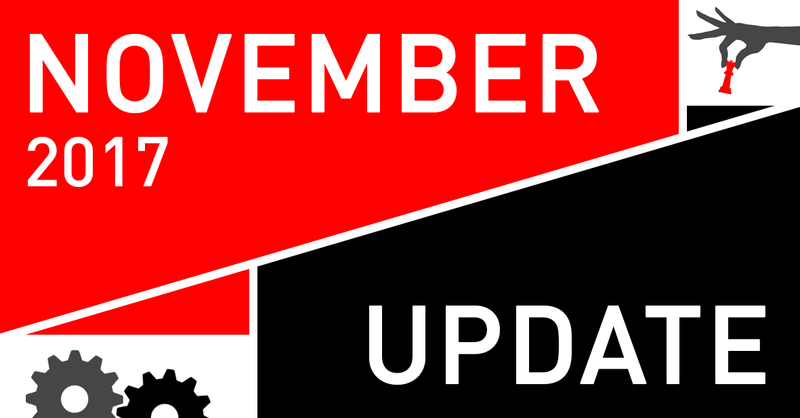 We don’t yet have a definitive re-launch date for you, but we are hoping to launch again as early as January 2018. What have we been doing in the meantime? The short answer is: LOTS. We’ve taken our time refining different aspects of the game from component type and quality, art and design, and of course balance and gameplay. 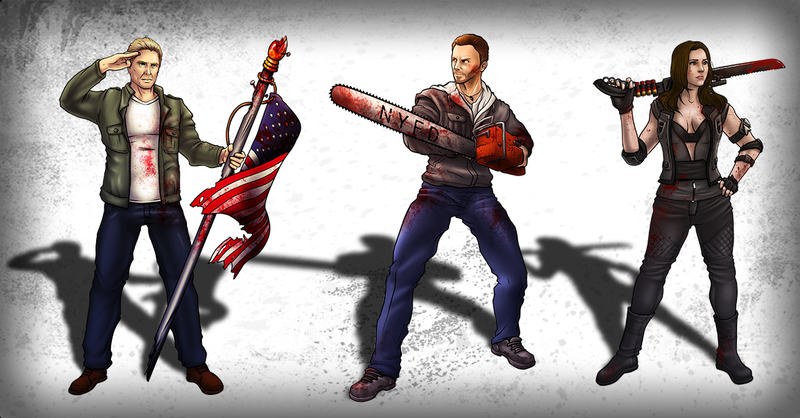 What we’re most excited to announce though is the addition of three characters from the Sharknado™ films into the game! So without further ado… Fin Shepard, Col. Gil Shepard, and Nova Clarke! If we didn’t, come by next year! 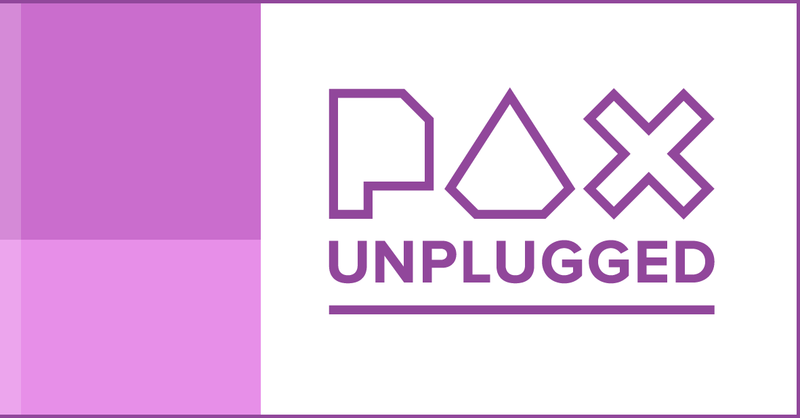 This November, we were at PAX Unplugged, a brand new 30,000-strong tabletop gaming convention in Philadelphia. We had a really great show and we met a ton of new people like you who played our games or chatted with us almost nonstop. We want to offer a huge “THANK YOU!” to everyone who stopped for a visit, showed interest in our forthcoming games, and sat down to play. You are the reason we do these shows, and it was incredible to see so much support. Our convention season is over for this year, but we’re planning several appearances in 2018, and we’ll announce our next one as soon as it’s scheduled. About three years ago we conceived an idea for a silly little game about naive pandas eating weird stuff. 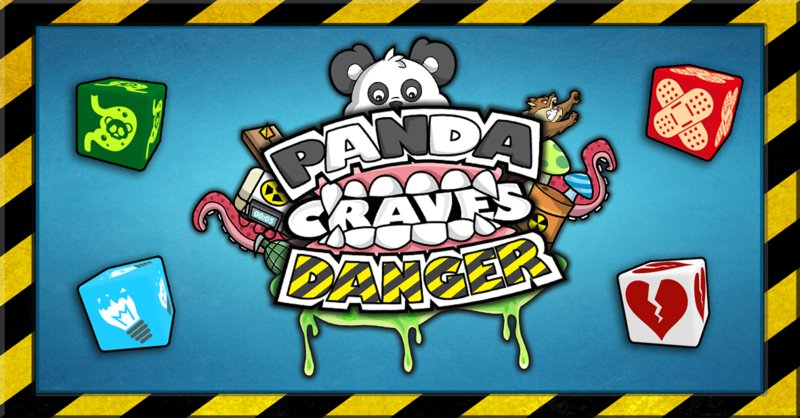 It was called Panda Craves Danger, and we developed it on and off around other games when time allowed. Hundreds of people have played PCD over the years in various forms, and it’s always been a big hit… which is why we’re extremely pleased to announce that Panda Craves Danger has been picked up by a publisher! At the moment, we can’t share too many details (we want the publisher to be able to officially announce first), but we can say that the game is currently slated for a 2018 release. More news on Panda will be coming, so keep your eyes on @DeviousDevices through your preferred social media provider! If you stopped by to see us at PAX Unplugged, you probably saw the beta version of our newest game, Weevils, a cooperative gardening game for 2 to 4 players. In Weevils, you are a gardener attempting to grow five beautiful plants in time for the Summer Festival. But watch out for Weevils — they’ll eat your precious plants! Complete five plants and win, but if the deck runs out first, the game ends in defeat. 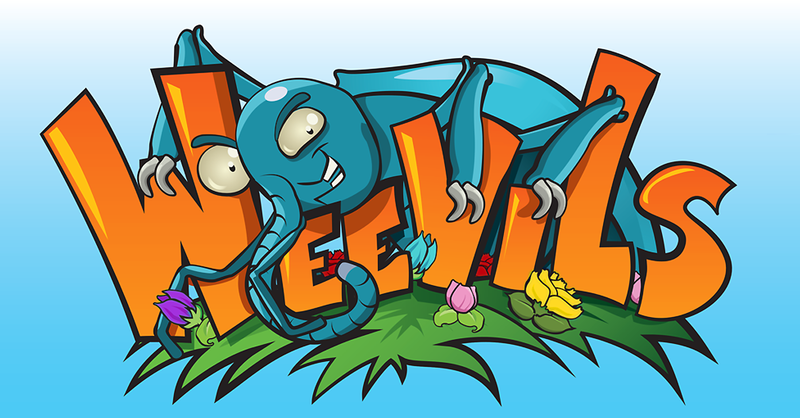 While this was just a trial run for the game, we had so much interest from players who wanted their own copy of the game then and there, that we’ve decided to publish a first edition of Weevils on The Game Crafter! We’re working as quickly as possible to get the game uploaded and quality checked so those of you who are interested can order a copy, hopefully in time for Christmas. And because it’s a small-box game, Weevils would make the perfect stocking stuffer for the gamer in your life. Just sayin’. Well, that’s all for now, friends. If you’d like to join the conversation about any of the news covered in this edition, leave a comment below or follow us on social media! Sharknado is a registered trademark and copyright of The Global Asylum Inc. Licensed by Syfy Ventures 2017, All Rights Reserved.